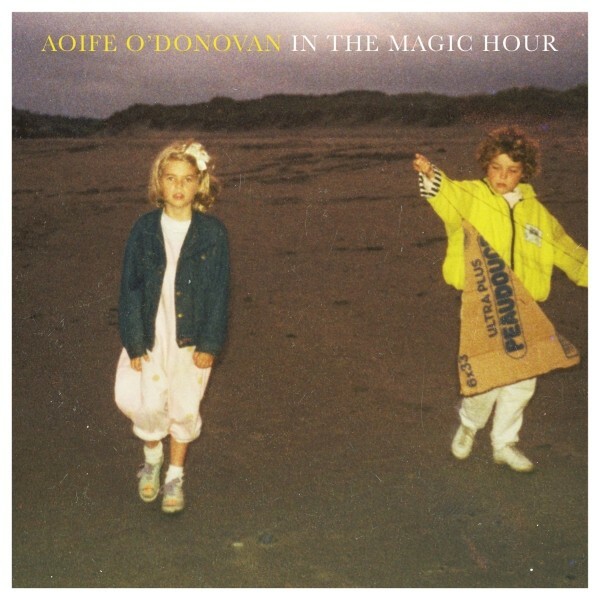 There is a dreamy reassuring feel to the vocals of Aoife O’Donovan. Unblemished, richly textured and elaborately rounded are just three warranted superlatives, but more importantly they just possess a boundless capacity to resonate with the ear of a listener seeking perfection. On the back of her hugely successful debut solo album FOSSILLS, Aoife returns on top form with her sophomore release IN THE MAGIC HOUR. If a class of ’16 supreme vocalists is going to emerge then Aoife will be right at the heart of it and the new record will confirm what many have known for a number of years. Blending the universal links between her Irish heritage and New England home has been instrumental in a career which now has three acclaimed elements. 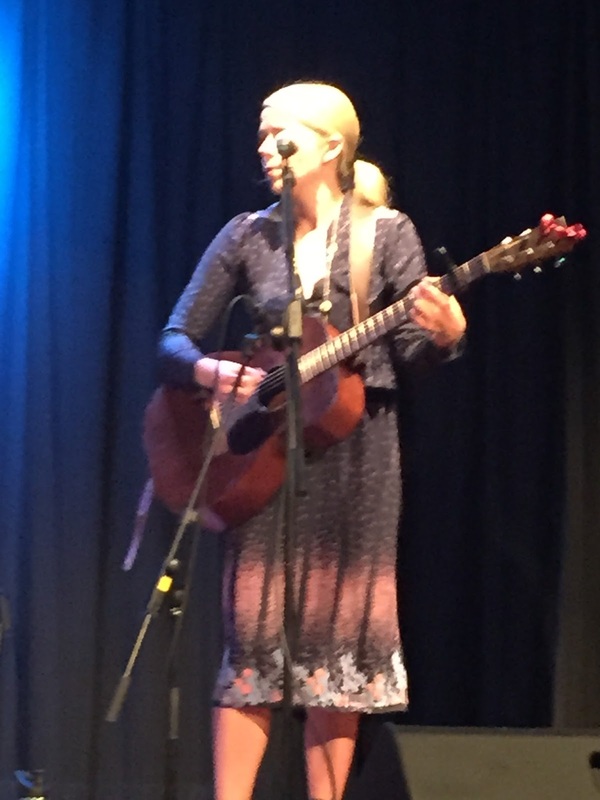 Prior to the success of her solo projects, Aoife was also the voice behind the much vaunted roots group Crooked Still for close on a decade. In between solo albums, Aoife was part of the roots celestial trio ‘I’m With Her’ alongside fellow stateside luminaries Sarah Jarosz and Sara Watkins. The success of these shows either side of the Atlantic was immense and while we wait for a potential trio record, the spotlight is now firmly on Aoife and her new album. IN THE MAGIC HOUR is released on the influential Yep Roc record label and consists of ten tracks sprinkled with the gold dust of its prime architect and assembled players. When you can include the mandolin playing of Chris Thile in the latter, the stakes of quality are raised to a maximum height. The mouth-watering prospect is that Aoife is playing approximately a dozen dates in Europe prior to taking it around her homeland. Maybe the touring trio will not include the big names found on the record, but the quality should still be high. The ten track album saw Aoife once again re-unite with Grammy winning producer Tucker Martine and the theme of the record is definitely nostalgia at both ends of the spectrum. Written and recorded at the time of her Grandfather’s passing, it both mourns and celebrates a long life by recounting many of Aoife’s visits to Ireland. His voice appears on ‘Donal Og’ and the sheer depth of her song writing enhances the appeal of the record. The true dedication for him exists in the song ‘Magpie’, totally soaked in nostalgia. The abbreviated title track ‘Magic Hour’ is the most distinctive song on the record as its structure and sound has obviously been designed for promotion. Maybe there is a commercial need for this, but the album’s true worth is buried within its inner content and sublime blending of accomplished musicianship and the comforting satin appeal of Aoife’s voice. From the opening strains of ‘Stanley Park’ (location not detected) to the lengthy closer ‘Jupiter’, the intensity rarely relents. Those seeking continual hooks and lighter moments will need to look elsewhere, but folks tuned into the magical aura of a record with so much personal investment will lap up the entity of this album. The enchanting ‘Hornets’ and the poignant ‘Porch Light’ make a good case for being the album’s high spot. The former is reminiscent of Alison Krauss at her finest with blissful fiddle providing the perfect vocal accompaniment. ‘The King of All Birds’ is perhaps the one moment when the album gets experimental in its sound and certainly adds value. IN THE MAGIC HOUR will undoubtedly thrill the purists along with listeners who just resonate with a top notch vocalist at the peak of her powers. Haunting in parts, charismatic in reception and infinite in appeal define the work of Aoife O’Donovan. She is set to be an integral part of the Folk-Americana- Bluegrass-Roots scene for many years to come and the pleasure is entirely in connecting with her music.